While many cats are happy to be outside and free-roaming, some pet owners decide to keep their felines permanently indoors. Whether it’s due to their breed or personality, urban space constraints or perhaps because of their health, cats can be happy and thrive without ever stepping outside. Compared to outdoor cats, the indoor variety tend to live longer as they enjoy a cushy, warm and hazard-free life but you do need to be mindful of certain things that could affect their health and happiness. As indoor cats are less active, they can be prone to weight issues and their diet needs to be packed with the right nutrients to keep them in good condition. They also need to be stimulated and still have ways to play and exercise as any cat should do. As well as making sure they are well-hydrated and have plenty of toys and indoor playtime, what you feed them will also make a real difference to the health and wellbeing of your home-happy cat. To help you make the right food choice for your pet, why not check out our review of the best cat food for indoor cats to see if you need to shake up your feline’s mealtime. Taste of the Wild has created a sophisticated recipe to appeal to your indoor cat’s true carnivore, with roasted venison and smoked salmon as the central protein source. The result is a delicious dry food that helps to keep your indoor pet lean, healthy and satisfied, making this tasty product our indoor cat food best choice. Grain-free, this recipe is not going to upset your indoor cat’s digestion and Rocky Mountain also take into account the vitamins and minerals your pet needs to keep in tip top condition. Carefully selected legumes, vegetables and fruit bring essential nutrients and antioxidants to your cat’s diet, while feline essentials such as taurine and omega fats will support your cat’s muscles and immune system. Add a full dish of water next to their food bowl at each meal time and you will have a cat that, when it comes to it comes to its diet, thinks it has got the cream. This really is one of the best dry cat foods for your indoor cat. Wet food is considered to be the best option for most indoor cats as it also helps to keep them hydrated, and this grain-free wet canned food from Wellness Core packs in the moisture. While you should always make sure your indoor cat has constant access to plenty of clean, fresh water, this tasty wet cat food can help to top up hydration as well as promote healthy a healthy urinary tract in your pet. It is also grain-free so can help to reduce – and prevent – any digestive issues your cat may have. Chicken, turkey and chicken liver are the central protein sources, while selected vegetables and fruit bump up the essential nutrient count. We also like the low-calorie formula and the texture is smooth and easy for your cat to dig in and enjoy. Plus, there’s added vitamins, minerals and omegas to keep your kit healthy and happy, inside and out. As a premium wet cat food, we think this tasty treat is also a good option if you are looking to help your indoor cat lose weight. 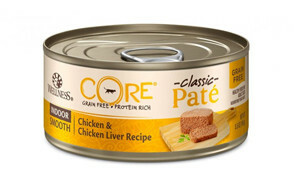 If your cat prefers the texture of a dry food or their teeth or gums could benefit from a harder meal, then this meaty kibble-style indoor cat food from Wellness Core is a good option to try. With 80% more meat than traditional dry cat food, this grain-free treat only uses quality turkey, chicken and herring protein to keep your indoor carnivore happy. Plus, this best dry food for indoor cats is grain-free meaning this dry protein powerhouse will not irritate a delicate digestion. The nutrient level is high – the meal is fortified with antioxidants, probiotics, vitamins, essential minerals and a fish/flax omega blend – so it’s advised you give your indoor cat a little time to adjust to the quality of this dry food but the results for his health and energy will be worth it. To keep everything nicely lubricated, serve his dry meal with a full bowl of water so he can maintain his hydration. There’s a lovely stew-like texture and meaty aroma to this tasty looking wet cat food from Halo that will tempt even the fussiest indoor kit to tuck in. As well as tickling your indoor cat’s taste-buds, this well-priced wet food is also essential nutrient packed, designed to keep your pet in tip-top condition as well as happy with a satisfied tum. It uses whole chicken as its central protein source, so no rendered meat or by-products here. And it is nicely moist and grain-free so easily digestible, enhanced by added non-GMO vegetables. Fortified with the right vitamins and minerals your pet needs, there’s also added taurine, which is essential to keep your indoor cat’s muscles in good working order. And, as you would expect from the Halo Holistic range, there are no artificial color, flavor or preservative nasties. This is one of the best wet cat food products if your indoor cat has teeth or gum issues or has started to go off their food. If hairballs are a cause for concern with your indoor cat, then check out this nutritious dry food from one of the best cat food brands that can help to reduce the problem. The formula is also low calorie so can double-up as a weight management diet if this is also another concern. Protein rich, using quality chicken and turkey, it includes a well-balanced fiber blend which includes prebiotics and beet pulp, natural ingredients that support a healthy digestive system and prevent the formation of those troublesome hairballs that can regularly form in indoor cats. IAMS also take the wider nutritional needs of a less active cat on board, with added l-carnitine, vitamins and minerals to boost energy and overall health. With this type of fiber-rich dry food, you will need to ensure you cat has access to plenty of water but for a tasty meal that can help to keep your cat hairball free and happy, this comes top of the kitty class. This variety pack from Purina is a good choice if you cat has been off their food as the range and taste on offer is sure to pique their appetite. With a choice of chicken, turkey and beef, there is plenty of savory taste on offer that will coax a fussy eater back to their food bowl. 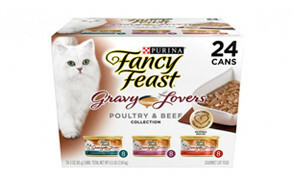 With a nicely rich gravy and tender bites, older indoor cats or cats with teeth and gum problems will also thrive on this wet cat food. And while they lap up the meaty deliciousness, you can rest assured they are also getting a sufficient nutritional hit. Fortified with essential vitamins and minerals, this moisture rich meal is easily digested and will help to support your cat’s overall health. And, if weight is becoming an issue, the convenient can size will help to manage portion control. For the price, you are getting a good quality wet cat food that your indoor pet will lap up, making the Purina Fancy Feast our Best Value indoor cat food. Natural balance has upped the protein power in their dry cat food indoor formula, focusing on the core quality ingredients your pet needs for optimal health. Choosing salmon to be the single source of animal protein, with added chickpeas and prebiotic fiber, you get a simple but effective way to keep your cat nourished and well. As one of our best dry cat foods for indoor cats, this is a great product to help keep your indoor feline lean and streamlined, with added vitamins and omegas to maintain excellent body condition and health. Your cat’s digestive health will also be given a boost, thanks to the fiber content, which can also help to prevent the formation of those dreaded hairballs. Natural Balance has recognized that less is more when it comes to the best diet for your indoor cat and without compromising on taste or texture, your pet will get the best of both worlds. Just make sure you cat is able to keep itself well-hydrated with an accessible supply of clean, fresh drinking water to help keep everything nicely lubricated. The corn, wheat and soy that is known to irritate your cat’s system have been banished from this grain-free wet cat food from Blue Freedom, to provide a tasty, protein-rich formula that your pet will love. Using only natural ingredients and boosted with cranberry and dietary fiber, this well-balanced healthy indoor cat food should leave your pet’s digestion and urinary tract calm and happy. The blended fiber is also a tried and tested remedy to excess hairball formation, which can be a problem with indoor cats as central heating systems can put their shedding cycle way off whack. This is also good meal option for cats struggling to keep their weight down. Blue Freedom have carefully worked out the calories without compromising on taste or texture, meaning you get a satisfied cat without adding any extra pounds to his tum. Ok, it does have a smell that may not be too appetizing to us humans, but it will appeal to your feline friend and the fine texture will be super-easy for them to chew and digest. As a result, we think this is one of the best canned cat foods for indoor cats you can choose. 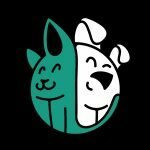 It is not just us humans who are embracing the clean eating ethos, with this well-priced and nutritious dry meal from Nutro, your indoor cats can now get on board! Without compromising on the essential elements your domestic carnivore needs in their diet, Nutro have put together a formula that nicely balances the nutritional requirements of your cat with the best quality natural and non-genetically modified ingredients. The result is a tasty and healthy indoor cat food that is particularly good if your cat is a (digestively) sensitive soul. With a solid base of farm-raised chicken and brown rice, Nutro bumps up the health and nutrition quota, with natural fiber, antioxidants, vitamin E (essential for a healthy immune system in an indoor cat), vitamins and minerals. There’s also omega 6 fatty acids to keep your cat’s skin and coat in top condition. 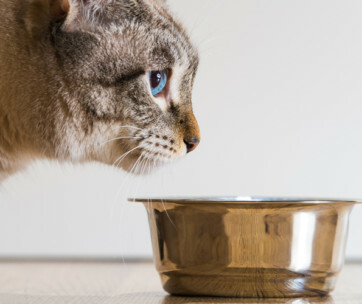 And as you would expect with a ‘clean feed’, there’s no artificial flavors, colors or preservatives, but as it is a dry cat food, you also need to make sure your pet has access to good supplies of drinking water to maintain hydration. The kibble does include soybean so not totally carb-free so just be aware if your cat has any allergies or digestive problems but as an all-round nutritious and calorie-controlled solution to feeding, this will help to keep your indoor cat happy and healthy. For your feline fish lover, you can’t really go wrong with this bumper pack of seafood wet cat food that combines an irresistible taste (for cats anyway) with a well-balanced and nutritionally complete meal. For the price you get an impressive 24 cans and there is enough protein variety to keep your indoor cat interested. With a choice of tuna, salmon, crab and shrimp, it reads more like the a la carte menu in a fish restaurant than a wet cat food. This variety pack from Meow Mix is featured in our best indoor cat food review because of its combination of portion size, moisture and nutrition levels and sheer taste variety. Working together, you get a convenient to use and easy to digest wet cat food that will keep your cat interested in its food, without over-eating. This wet cat food does contain wheat and gluten and there are also artificial preservatives, so may not be ideal for all indoor cats, especially those who are overweight or have digestive issues. And we have to say, the fish smell isn’t our favorite, but we’re not the ones chowing down. But if your cat has become a bit of a picky eater, or deserves a flavor and aroma packed treat, this moisture-rich cat food will attract their attention. Unlike an outdoor cat, who is on the move and so burning more energy, an indoor cat has a much slower pace of life, so it is not a good idea to encourage all day food grazing. Instead, feed a measured amount of healthy cat food twice a day and resist any temptation to top up the bowl. Unless it is carefully managed, indoor cats are more prone to obesity, which can put them more at risk of developing health problems, such as diabetes, so avoid over-feeding. Cat food specifically formulated for indoor cats also tend to have less calories. Cats are straight-up carnivores who love their protein. Outdoor cats are able to supplement their human-fed diet by sourcing/hunting some of their own, an option not open to cats who live indoors. A diet centered around a quality protein source is essential, so go high with the protein, and less on the dry, bulked out cat food. A more relaxed, sedentary lifestyle for your kit may make them a laid-back cat that’s a pleasure to have around but a poor diet and lack of exercise can lead to health problems. Look at supplementary options for your indoor cat’s diet to ensure they are getting the right nutrients and fatty acids to help stave off any health problems. An indoor cat may not be able to get all their hydration from water alone, so dry food is not always the best option. If you are concerned about the amount of water your indoor cat drinks, aim to also feed them one of the moisture-rich best wet cat foods available. As fastidious groomers all cats get hairballs, but indoor cats are more prone due to modern indoor heating playing havoc with their fur shedding cycle. Adding more fiber to an indoor cat’s diet can help to reduce the problem so if it’s a concern, look for a hairball control formula cat food. A good way to ensure you can formulate the right diet for your indoor cat is to be clear on what you really should avoid. There are some key ingredients you need to consign to the bin to keep your home cat healthy, energetic and happy and top of the list are carbs. Your cat has no dietary need for carbohydrates, in fact cats can struggle to digest carbs and can also develop allergies if fed them. Yet carbs are widely used in commercial dry pet food, mainly to be used as a filler to bind everything together. For an indoor cat, carbohydrates in the form of grains can be particularly problematic as they are less active and can contribute to obesity, diabetes, digestive issues and muscle weakness, amongst others. 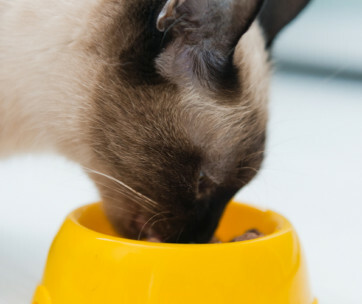 For these reasons, it is important to avoid grains such as corn, wheat and soy when it comes to your indoor cat’s daily diet. Also check the food product’s label to ensure there are no excessive ‘bad’ fats that can contribute to any potential weight issues in your indoor cat. As well as troublesome carbs, it’s a good idea to avoid anything artificial, such as preservatives, sweeteners and coloring if you can as they add nothing to your cat’s diet or overall health. All cats are naturally grazers when it comes to feeding. But with an indoor cat, this free-range style of feeding should be carefully controlled to ensure they are not consuming more calories per day than their indoor activity levels can burn off. Your aim is to keep your pet at a healthy constant weight, for them to enjoy their food and to get all the nutrients and energy they need to live a full and happy life as an indoor cat. It is recommended that your indoor cat is fed twice a day (younger cats and kittens up to three times a day) with no additional food supplementation in-between so you can manage and monitor their food intake. Most veterinary experts also recommend a wet cat food diet to help supplement their hydration. If you are in any doubt what and how to feed your indoor cat, then a chat with your vet or veterinary nutritionist can be really helpful. Q: Do indoor cats need different food? A: Basically, cats are cats and so both indoor and outdoor felines have exactly same nutritional requirements to keep healthy and in good working order. The core difference between an outdoor roamer and a house cat are their activity levels, meaning indoor cats need less food and should get their nutrition in a slightly different, more managed way. Feed indoor cats in the same way and amount as outdoor cats and you will eventually store up trouble. Which is why cat food formulated for indoor cats or if you plan to make your own, specific recipes for your inside feline are the best way to go. Just like an outdoor feline wanderer, your indoor cat needs high quality protein, fatty acids, fiber and water to thrive, but it is the calorie count and levels of essential nutrients which will differ. Any specific health issues your indoor cat may have will also dictate the nutrition they need and how they are fed. Q: Should I use the feeding recommendations on the food label? A: The feeding directions on your chosen indoor cat food are an excellent source of information and should be used as a guide as they take into account the product’s ingredients and calorie content. But when it comes to your own indoor cat, you should also factor in their age, activity level and any specific health and nutritional issues they may have. Q: Can cat food go bad? A: All cat food will go off eventually, especially if it’s not stored correctly after opening or is past its sell-by date. Looking after your supply of cat food and following the storage and best-by date advice on the packet will reduce any problems of food that has gone off. Q: How much should I feed my indoor cat? A: One of the biggest differences between indoor cat food and standard cat food is that the indoor food usually has fewer calories per serving. This is to reflect the reduced opportunity for your indoor cat to exercise and roam and so burn off higher amounts of calories effectively. 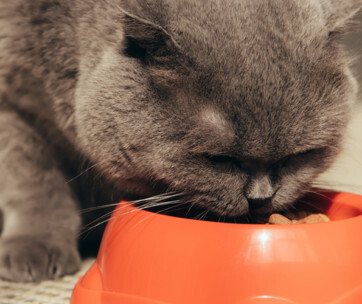 Many cat owners unintentionally over-feed their pet and with an indoor feline this can lead to long-term health problems, including obesity, which is something you need to avoid. The amount you feed your cat each day does depend on their age and size so do get advice from your vet if you are unsure. But as a general rule of thumb, a less active cat needs around 20 calories per pound of weight each day, so if your indoor cat weighs 10 pounds, they should be consuming 200 calories a day. Kittens and pregnant cats need more to support growth and development. 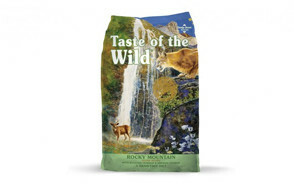 Our top pick of best cat food for indoor cats is the wild and tasty Rocky Mountain dry cat food, which combines quality ingredients and balanced nutrition with a surprising sophisticated taste twist your feline will love. Grain-free, this dry food will not irritate your indoor cat’s digestion and the calorie-managed formula will work to help keep him sleek and lean. And there’s all the essential vitamins and minerals needed to keep your indoor cat happy and healthy, without busting his human’s food budget.